Silves holidays take you close to the sunny Algarve coast of Portugal. Located near Portimao, holidays to Silves can be taken at any time of year as the summers are long and hot and the winters mild. The busiest months are between April and October with the temperatures rising from mid-twenties to the low thirties at the height of the season. 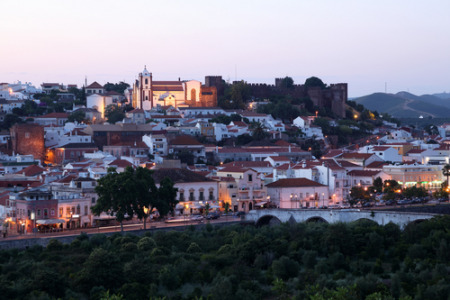 Holidays in Silves have wide appeal as there is much to see and do in the area. With soft sandy beaches, water sports, golf courses, tourist attractions and sightseeing opportunities, our cheap Silves holidays can be as laid back or as energetic as you wish. Since the beaches border the Atlantic Ocean, the waves can at times be heavy and the currents are strong, so take extra care with children. The conditions are however perfect for surfing and sailing. With good accommodation and numerous restaurants catering for all tastes, our low cost Silves holidays are sure to please. Shopping is very good and the market is ideal for purchasing your gifts and souvenirs. There is nightlife to suit all moods from romantic to party. The old town, although suffering devastation in the 1755 earthquake, has some remarkable churches and buildings and pleasant evenings can be spent wandering its streets. If you are looking for an escape from inclement weather to a charming town in the Algarve, our Silves holiday offers may be just the ticket. For further information and to view our best Silves holiday deals, please use the search facility.